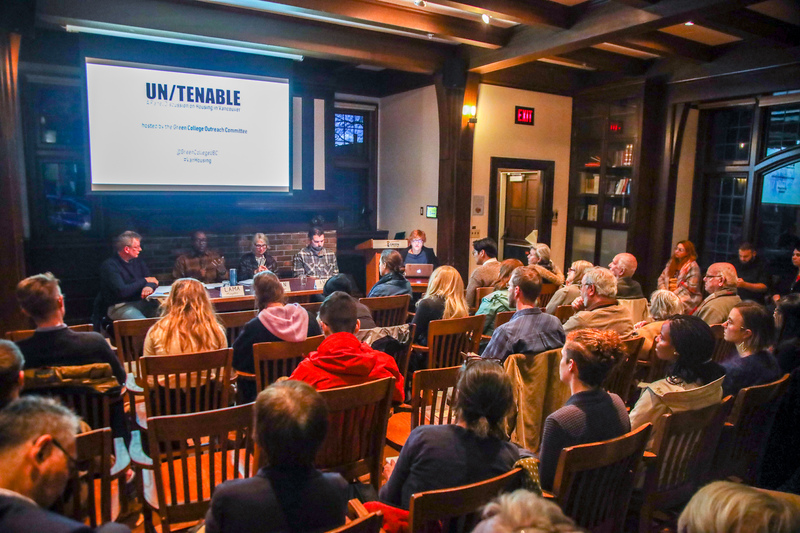 For speakers at the “Un/tenable: A Panel Discussion on Housing in Vancouver” event, Vancouver’s unaffordability is not a standalone issue. 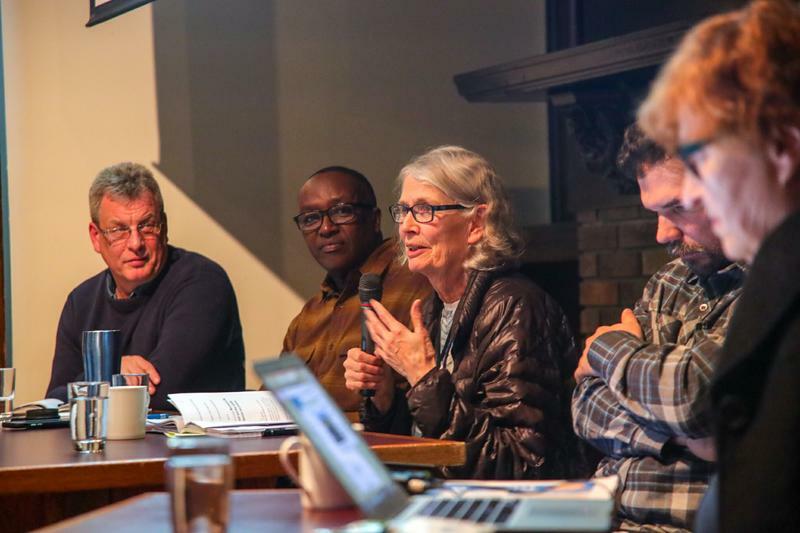 Last night, UBC’s Green College hosted a talk between Vancouver activists Jean Swanson, Ivan Drury, Lama Mugabo and Wes Everaars — all of whom have had first-hand experiences working to mitigate the city’s housing crisis. According to all of them, housing insecurity intersects with larger issues of inequality, gentrification and settler-colonialism. They also stressed the impacts of treating housing as a commodity rather than a human right. “It’s criminal because I believe housing is a human right … it shouldn’t be just a tool for people to get wealthy at the expense of others,” he said. She has been a vocal advocate for a rent freeze and a mansion tax to fight rising rental prices in the city, as well as an increase in low-income housing for Downtown Eastside (DTES) residents. Panelists also connected the problem of homelessness to the overdose crisis, another major issue facing the city. At 37 deaths per 100,000 individuals, Vancouver Coastal Health Authority saw the highest rate of overdose deaths in BC last year. For instance, Everaars — director of Development with Lookout Housing and Health Society — argued for the need to provide services such as transitional housing and supervised consumption sites to help stabilize drug users’ living and health conditions. Gentrification was another major topic of discussion. Mugabo discussed the effects of developments pricing out local communities by telling the history of Hogan’s Alley — in particular, how Vancouver’s Black community was pushed out by urban renewal projects and the construction of the Georgia and Dunsmuir viaducts in the 1970s. He then drew parallels between the historical example and current issues facing Chinatown. In response to this trend, Mugabo advocated for urban renewal projects to give back to the communities with cultural centres and retail space so they could thrive in a redeveloped space. Swanson similarly advocated for giving reparations to Indigenous peoples for the development of their land. Drury — an organizer with the campaign Alliance Against Displacement who advocated on behalf of those facing displacement in the area surrounding Metrotown — added that decolonization and housing must be a bottom-up process by Indigenous communities on their own terms. “An interesting paradox … that is often cited is Vancouver is both stricken with inequality and homelessness and it is livable. We want to know where is this livability and can we have some of it?” Drury said.